This picture is as bad as my prediction that beacons would provide marketers with scaled, closed-loop attribution in 2016. Didn’t happen. Not even close. Yet again, I’ve recruited two experts to help. Chris O’Hara, VP Strategic Accounts at Krux Digital (and Econsultancy’s programmatic guru – see his articles and research here), and James Bourner, Head of Display at Jellyfish. If you were to believe every ad tech panelist, you might be inclined to throw your laptop in the East River. Apparently—despite desktop only slightly starting to lose overall time-spent share to mobile on a year-over-year basis—nobody is developing ad tech solutions for the desktop anymore. Everyone is “mobile first,” meaning that they are writing code for tablet and mobile phone browsers and apps before developing solutions for the poor laptop or desktop computer. Of course, mobile devices are showing explosive growth, and clearly where the majority of consumers’ time will be found (as evidenced by the 8 of 10 people at my conference table multitasking during the eMarketer presentation which laid out the mobile data). This might be only a slight exaggeration when it comes to mobile eCommerce, which is trending to dominate the vast majority of online sales transactions in just a short time. Also, in case you missed this, it is now passé to call “mobile” “mobile.” Companies are so hip to the growth in portable digital devices that they just talk about “reach” rather than distinguishing between “tablets” and “smartphones.” You know it’s really the “year of mobile” when it’s too lame to talk about. Guess what? Nobody is worried that cookies are going away. Again, if you spend all of your time in conference ballrooms listening to panelists, you naturally understand that cookies are a thing of the ancient past, rather than the data currency without which 80% of Lumascape companies could not credibly operate. In fact, if the cookie disappeared tomorrow, ad tech players would simply go with a “statistical ID” or another cool sounding identification technology that is being invented somewhere. I am really glad that no one is particularly worried but—hearing this meme several times over the past week—I would be interested in how many platforms and ad networks have developed and deployed data technologies that enable them to do audience targeting at scale without cookies. What I think the reality of the situation might be is that cookie technology is replaceable, but if legislation changes suddenly or Google Chrome decides to switch things up, there could be huge trouble in Luma land. So much value destruction in so short a period is just something not fun to talk about at M&A conferences. The idea of the “technology stack” is not new for 2014, but what has changed is that tons of point solutions that were funded in 2008 are still unprofitable, their VCs are at the end of their fund lifespans, and it’s time to find an exit. That means someone unprofitable point solution can either become a part of another’s “stack” or everyone can take their toys and go home. The problem with everyone wanting you to have a “stack” is that they are expensive to build and also expensive to license via SaaS. Small players cannot afford a “stack” and the big players already have them. That dynamic is going to create a ton of M&A activity in 2014, as vulnerable point-solution providers, some with excellent technology, succumb to larger integrators. As repeatedly pointed out, the biggest players in the marketing space (IBM, Adobe, Salesforce, etc.) represent the vast majority of M&A dollar volume, all of which has gone towards augmenting “stacks”—and it doesn’t look like they are going to be done anytime soon. There are a lot of good engineers that aren’t going to exit big at their point solution company, and may be ready for a comparatively cushy work life in the bosom of corporate behemoths that offer unlimited Mountain Dew and Skittles in the company snack room. Look for lots more M&A, and much of it “aquihire” focused. Everyone now has to have an “omnichannel-capable programmatic offering.” That’s the one parked right next to my Unicorn. Not that the instinct is incorrect—the proliferation of screens means that marketers have to reach people along their “consumer journey.” It’s no longer a trip down the sales funnel, but a twisting landscape where the consumer pushes you information through various social interactions. The smart marketer has to be ready at the drop of a hat to deliver perfect, personalized messages into the consumer’s smartphone at the “moment of truth” before a purchase—and, at the very least, be prepared for various “Oreo” social media moments that can create “earned” media at scale. 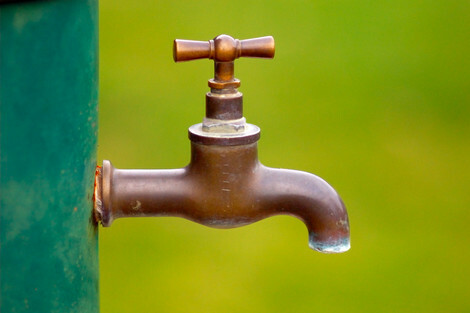 Sounds like marketers may actually start to miss the old “AIDA” funnel! One of 2013’s memes was the notion the “Sutton Pivot,” or running where the display money is—namely, the 70% of digital dollars that get transacted through the RFP channel. That’s where we get to complain endlessly about funding the “23 year old media planner” with “sneaker parties.” David Moore remarked at the recent JEGI conference that “50% of the cost of a campaign” went into the complexity of planning and delivering it. That sounds like a lot, but might be only a slight exaggeration. Everyone wants everything more programmatically, but the problem is that publishers haven’t quite given up yet. They are still keeping the premium inventory to themselves and out of the exchanges. 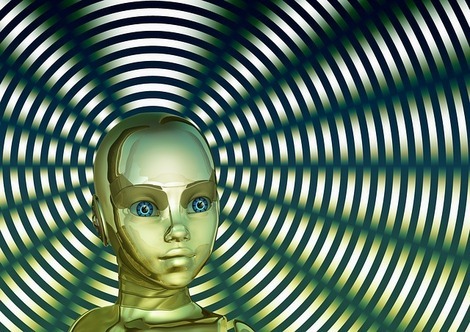 “Programmatic everywhere” may become a reality…in five or six years. But old habits (and buying methodologies) die hard. In the meantime, everyone with a “platform” is going to try and figure out how to automate the inefficient buying process and try and get some of that 70% flowing through a system that creates a nice “percentage of spend” platform fee. 2014 will see this trend accelerate. Every one of these memes will produce a ton of innovation, lots of M&A, a good deal of mid- to senior- level hiring, and plenty of bankers fees, so don’t worry! 2014 looks like a great year for ad technology! For all of the hype and investment behind real-time bidding, the fact is that “programmatically bought” media will only account for roughly $2B of the anticipated $15B in digital display spending this year, or a little over 13% depending on who you believe. Even if that number were to double, the lion’s share of digital display still happens the old fashioned way: Publishers hand-sell premium guaranteed inventory to agencies. What does all of this mean? RTB-enables ad technology is not going away, but some of the companies that require real time bidding to grow at breakneck speed to survive are going to pivot towards the money, developing technologies that enable more efficient buying of premium guaranteed inventory—where the other 85% of media budgets happen. 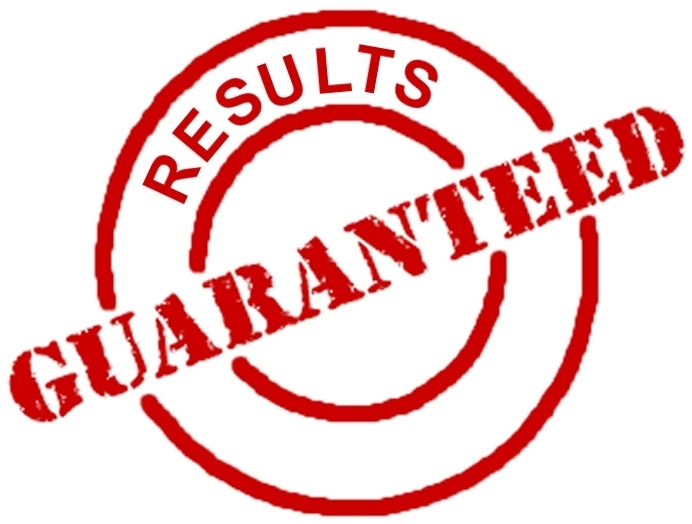 I predict that 2013 will be the year of “programmatic guaranteed,” which will be the label that people apply to any technology that enables agencies and marketers to access reserved inventory more efficiently. If we can apply some of the amazing technology we have built to making buying (and selling) great inventory easier, more efficient, and better performing, it will be an amazing year. How much time are you and your colleagues spending collating data, building reports, and formatting spreadsheets and PowerPoint decks for your clients? Most of the agencies I have worked with over the years admit to dedicating an embarrassingly large amount of (highly expensive) time towards these menial tasks. It’s not that getting your clients the data they need is not worth the time, it’s simply that there are now so many automated ways to deliver the data without burning salary. To paraphrase former agency head and Akamai leader David Kenny, if you are doing things with people that you can be doing with computers, you have already lost. Why spend time formatting Excel spreadsheets and populating PowerPoint report templates with data, when you can be spending salaried employee time selling more services, optimizing campaigns, and delivering great strategy and creative? Today’s automated ad management solutions and DMPs offer powerful ways to port both audience and ad serving reporting data into a single interface, to get instant access to key metrics such as frequency to conversion, churn rate, and channel attribution. Ask yourself if the cost of such a system is more than the cost of the time your employees you have been spending building reports—and, ultimately, more than the cost of your eventual demise, should you ignore the changes afoot in your business. Think of all the data you have access to from a digital media standpoint. If you are helping clients execute a digital media campaign, you have traditional serving data from your demand side server, such as DFA. You probably also have engagement data from your rich media ad server. If you have access to your clients’ website pages (or at least tags there), you have site-side data, including conversion event data. If you are using an audience measurement tool, or are doing audience-specific buying through a demand side platform, you also have audience measurement data. Great. What are you doing with all of it? Moreover, what kind of data does your client have that you can help them add to activate the common advertising data types I have just described? Let’s take the example of an agency using an audience measurement reporting tool, alongside an ad server report. In this case, it is possible that the analyst knows that the highest frequency converters for his travel campaign belong to a popular PRIZM segment, and he may also know that visitors to a popular travel site are three times as likely to engage with his rich media ad creative. Now what? Obviously, the right move is to buy more of the audience segment and double up with guaranteed advertising on the travel site. But what about audience overlap? How can the advertiser reduce ad waste by ensuring that members of his audience segment that he is securing for as little as $2.00 CPM on exchanges are not overrepresented on the premium site for which he is paying $18.00 CPM? Plus, how many members of that audience are also already registered as customers? If you are not deploying a DMP to aggregate your clients’ CRM (first-party) data alongside the site-side and ad serving (2nd party) data and the purchased (3rd party) data segments, then there is going to lots of duplicated uniques in your audience. Smart data aggregation creates ad activation through waste reduction, lifting conversion rates, while lowering cost per conversion. Getting an effective universal frequency cap across digital channels is very difficult, but every dollar not wasted on duplicate impressions is another dollar that may be spent finding a new audience member. Reducing waste adds reach—and performance, which every client likes. As a digital media agency, you’ve run hundreds, perhaps even thousands of campaigns, producing thousands of data-rich reports for your clients. How much of that knowledge are you leveraging? Although you might know the top travel sites and audience segments to reach “moms of school-age children in-market for a beach vacation,” how readily available is that knowledge? Is it sitting inside your Media Director’s head, or hidden in various documents that don’t talk to one another? How about access to normative campaign data? How quickly can you find out how certain sites performed against similar KPIs without doing hours of research? Like or not, advertisers want to know how their campaigns are performing against known standards, and it’s gotten a lot more complicated than beating a 0.1% click-through rate lately. Knowing how your last 10 travel campaigns performed—from which guaranteed site buys succeeded, to which audience segments performed, to which creatives elicited the highest CTR—is just step one. Having that data available for quick reference means that every new campaign can start from an advanced performance level, and your media people don’t have to recreate the wheel every time you receive an RFP. Today’s smart DMPs also feature the ability to leverage your data to an even greater extent, especially for audience buying. Why limit yourself to pre-packaged audience segments that do not include your client’s first-party data? Today’s more advanced DMPs give marketers the ability to create audience segments on the fly, building discrete segments from data that includes available third-party data—but also first-party data, such as registration details, transactional records, and signals from hosted social media listening solutions. It’s the difference between buying from an ad network and creating your own. Buying into portals’ site sections was the first phase in the effort to bring contextual and audience relevance to ad buying. 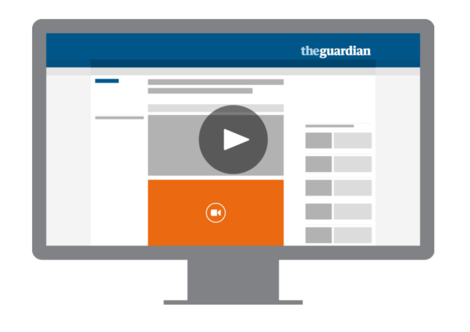 Networks followed, offering packaged audiences at scale. Then bidded exchange buying came, offering pre-packaged audience segments at the individual cookie level. Today’s best practices include marrying all available data types to give marketers the ability to create their own targeted buys, and modern data management platforms are helping the largest advertisers automate what they have been doing since the first direct mail piece went out: finding targeted audiences. Leveraging today’s DMP technology can not only help you find those audiences more easily, but help you understand who they are, why they respond, and help you find them again. These days, advertising and data platforms are giving marketers a wealth of information that can be used to validate their strategies, and optimize their digital campaigns for better performance. 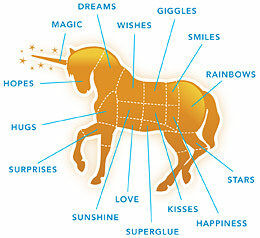 There is a lot of data to sort through—some more useful than others. Sometimes, good campaign optimization comes down to the basics: Understanding who your audience is, and why they are doing what they are doing. Let’s look at a real life example of a digital display campaign, run through the digital ad agency of a popular mattress retailer. The agency wanted to test new inventory sources for the campaign by running broadly on general interest sites, evaluating the demography of audiences that showed purchase intent, and optimize over the course of the campaign to maximize impact. A theory being tested was that older audiences, who report more difficulty sleeping than younger demographic groups, would respond more favorably to the retailer’s online display ads. Campaigns were initially skewed to sites that over-indexed against audience composed of 50 and older. 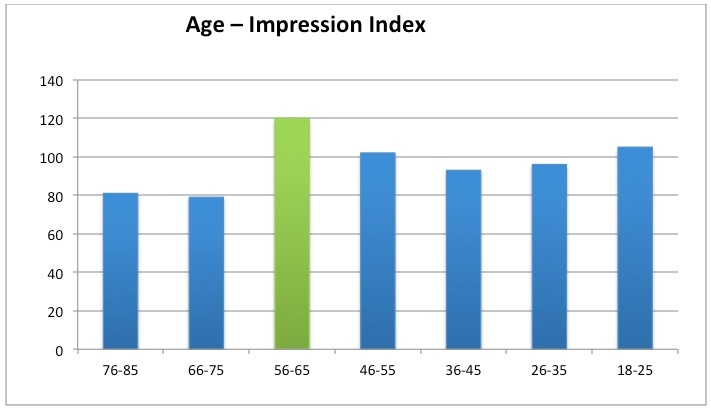 Figure 1: Age of Ad Viewer, by Impressions. As Figure 1 shows, a bulk of impressions during the discovery portion of the campaign were delivered to visitors aged 46-65 years of age, which was the desired demographic. After analysis of those who viewed or clicked on a display ad, and then went on to purchase, the audience composition was remarkably different. 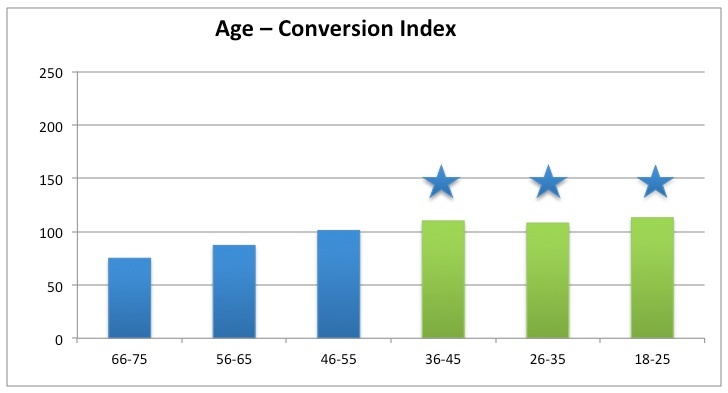 As shown in Figure 2, the bulk of conversions came from those aged 18-45. 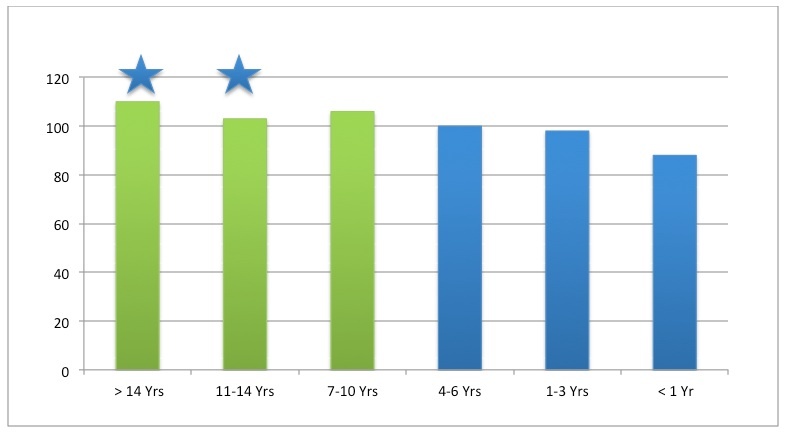 Figure 2: Age of Mattress Purchaser (Conversions). The agency adjusted the ad buy to heavy up on sites that over-indexed for a younger audience, and opted out of buys tailored to the older demographic. 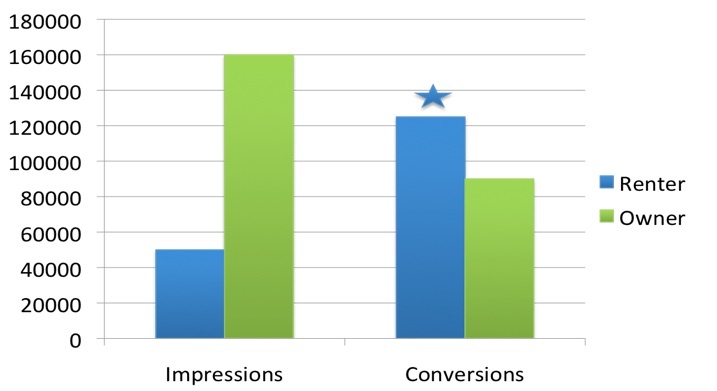 As wasted impressions were trimmed down in the overall plan, conversion rates increased dramatically. Testing and validating your instincts with data on an ongoing basis is the key to success in digital display advertising. The mattress retailer, who experienced better sales from older store visitors (offline), found a more responsive younger audience online. Although it seems obvious, having the initial data means being able to smartly allocate marketing capital, and having access to ongoing data means not having to rely on old insights in a changing marketplace. Another offline theory the mattress retailer sought to validate was the mattress life cycle. After collecting brick and mortar sales data for years, the retailer knew that the average life of a mattress was approximately 7 years, and that the single greatest life event influencing the purchase of a new mattress was moving. Therefore, it made sense to target audiences based on length of residence (>7 years), and target content around buying or renting a new home. 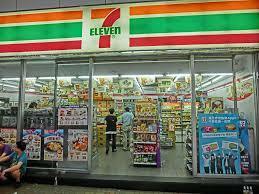 Inventory was bought from a wide range of home-specific and moving sites, and measured using Aperture audience measurement populated with data sets from Experian, IXI financial, V12 demographic, and Nielsen PRIZM data. Figure 3: Length of Residence, by Impressions. Figure 4: Length of Residence, by Click. As Figures 3 and 4 amply demonstrate, the mattress retailer was targeting the bulk of impressions towards individuals reporting over seven years residence in a single location, and clicks among that group indexed the highest in aggregate. That data validated the approach of buying into sites with a strong audience of self-reported homeowners. However, a deeper look into audience data revealed a strong distinction between renters and buyers. Fig 5Comparing Impressions and Conversions by home ownership status. As noted in Figure 5, although the bulk of impressions in the campaign were served to homeowners, renters were the ones buying the most mattresses. This learning did more than any other data point to drive campaign optimization. Naturally, the next step in the campaign optimization process was to focus inventory delivery to sites that promised a concentrated audience of home renters. Sites such as ForRent.com, ApartmentGuide.com, and Renters.com were added to the optimization plan. More insights came as the Aperture data was collected. 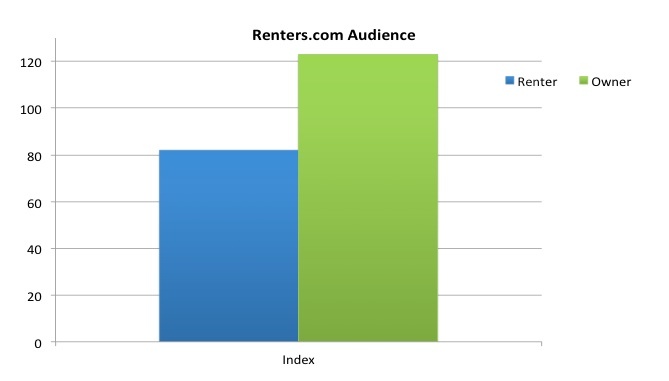 Despite purporting to have a heavy concentration of renters, two of the more popular sites actually index much higher among homeowners, as shown in Figure 6. It looked as though homeowners that were looking into renting made up the majority audience—a fact that helped the retailer tailor specific messaging to them. Figure 6: In this example, a media site aimed at renters, over-indexes against current homeowners. For this particular campaign, the ability for the retailer to validate certain audience assumptions using real demographic data was critical, as well as the ability to leverage the distinction between two types of potential customers: home owners, and renters. Additionally, getting real audience metrics beyond a publisher’s media kit or self-declared audience information enabled the retailer to craft its creative and messaging in a highly specific way that increased conversions. Know Your Data: In today’s technology-driven marketing world, knowing how to leverage the data available to you is critical to both understanding and targeting your audience. 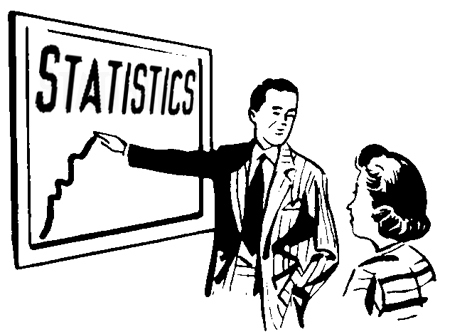 Make sure your marketing investment decisions are driven through the analysis and usage of 1st party data, including registration data for demographic modeling; 2nd party data, such as ad server and search data for behavioral modeling; and 3rd party data, such as available audience segments from providers like Nielsen and Datalogix, for audience validation, matching, and lookalike modeling. Data is not just about buying audience segments for targeting; it’s about trying to get a 360-degree view of your ideal customer. Choose the Right DMP: There are DMPs for every marketer, so be careful to choose the right one. Big Data needs call for pure play DMPs that can stitch together highly disparate data sets that include all data types, and make both insights, audience segments, and lookalike modeling available in real-time. Marketers looking to buy from a variety of 3rd party audience segment providers should choose a data marketplace such as Exelate, or be willing to access a more limited number of data sources inside a DSP such as AppNexus. Leverage Audience Measurement: Finally, there is a lot that audience segments can bring to the table in terms of audience insights. Understanding the audience composition of who saw, clicked on, and converted after seeing your campaign gives you the ability to learn about your target customers, their online behaviors, and (most importantly) find more of them. Your DMP should have the ability to marry audience and campaign data to give you a highly granular level view of your best (and worst) performing audience types—down to the creative level. Learnings from this case study, and other valuable information, can be found in my upcoming “Best Practices in Digital Display Media,” coming in January 2012 from eConsultancy.com.